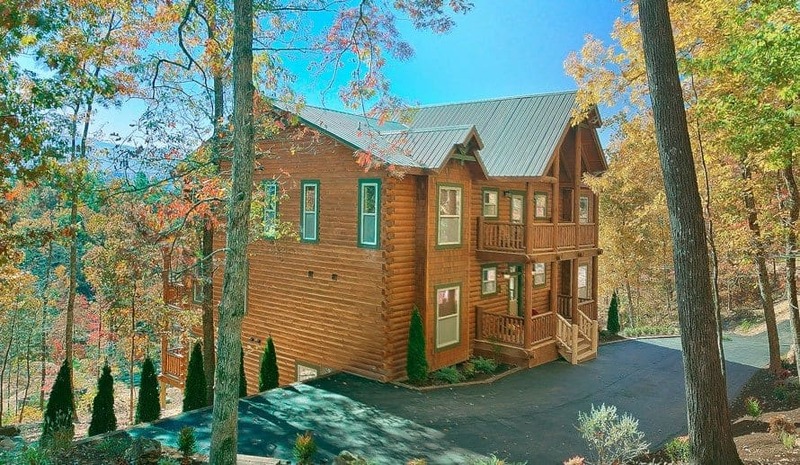 When you book a large cabin in Pigeon Forge, your vacation becomes much more affordable for each family sharing the cabin. 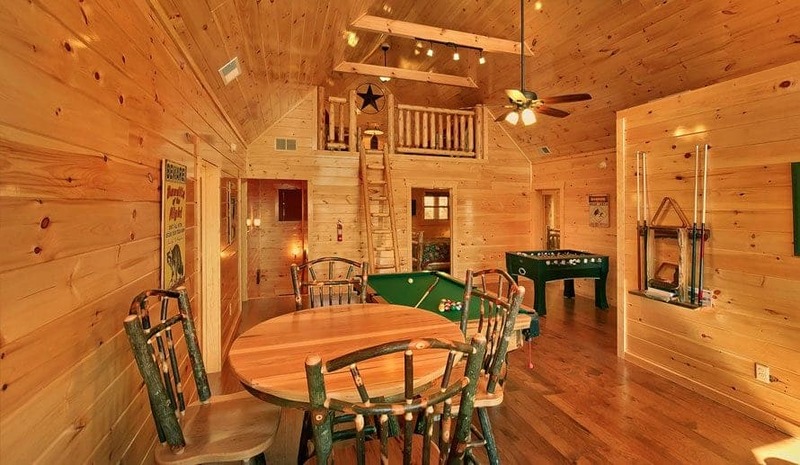 Staying in a cabin as a group makes the cost per family much less than it would be when booking separate one bedroom cabins or separate hotel rooms. This means that each family has more money to spend on other parts of the trip, such as show tickets, attraction admission, and travel expenses. 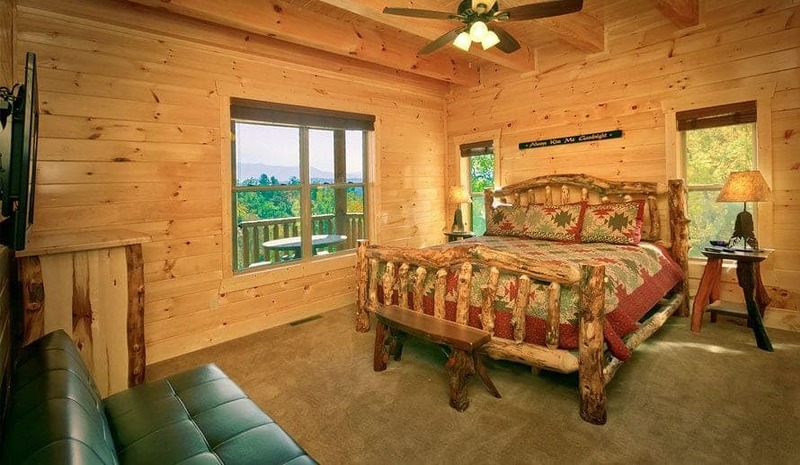 To calculate the savings of staying in a large cabin rental vs. a hotel, click here. 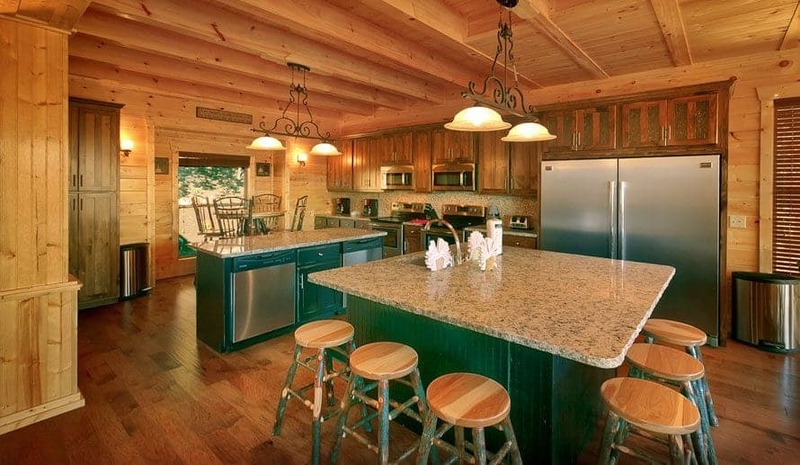 All of our large group cabins include a full kitchen that is perfect for preparing meals for a big group. When taking a family reunion vacation, it can be tough getting everyone together to head out to a restaurant – plus it can start to get expensive. By cooking your meals in your cabin’s own kitchen, you can save a significant amount of time and money compared to dining out each day. Have some fun with it and set up a schedule where each family takes turns preparing a meal! When the term “the more, the merrier” was invented, it must have been during a group vacation in the Smokies! Taking a family reunion getaway is a fantastic opportunity to share laughs and bond with your friends and family. In addition, the children in the family will appreciate the chance to play with other kids. Take the whole group out for a hike at the Great Smoky Mountains National Park then return to the cabin for an afternoon of fun! 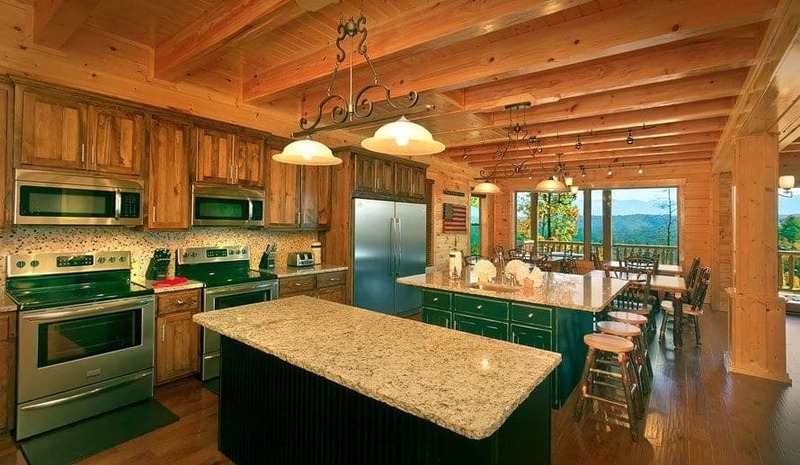 Our large cabin rentals feature incredible amenities that are sure to delight everyone in the group! 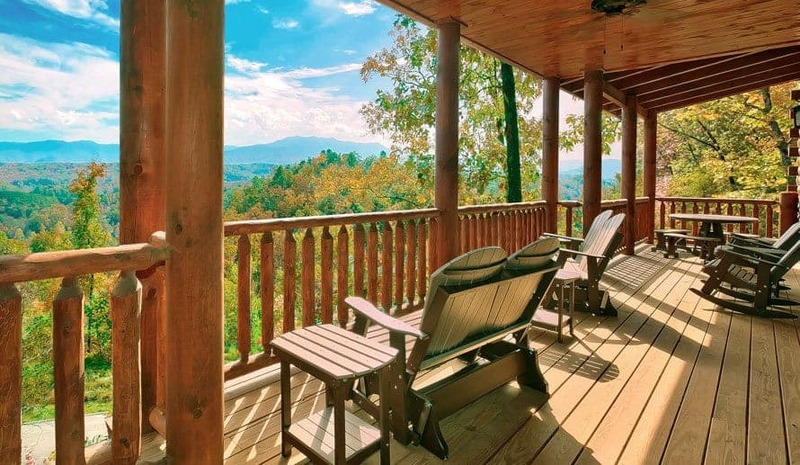 Relax on the deck with scenic mountain views as you socialize with your friends or kick back in the bubbling hot tub after a morning hike. The kids will love playing in the game room, featuring everything from pool tables to air hockey depending on the rental you choose. 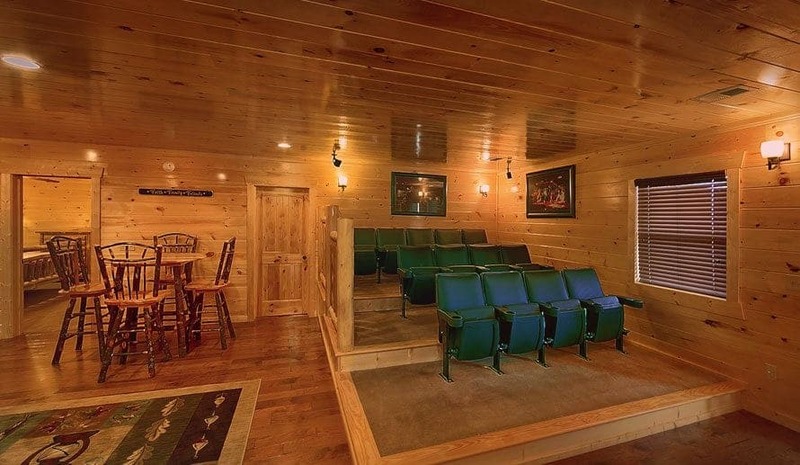 In the evening, gather around a fire pit to roast s’mores and tell ghost stories, or have a movie night in front of the big screen with a big bowl of popcorn. The opportunities for fun right at the cabin are endless! When you stay at our large cabins in Pigeon Forge, you’ll have the chance to take advantage of extra savings by taking advantage of our Freedom Fun Pass that gives you free tickets for attractions during your visit. We can also help you plan for large group outings by reserving your group attraction tickets at a discounted rate. Just talk to one of our vacation rental specialists and we’ll be happy to tell you how we can help you save money! Start planning your family reunion getaway today. 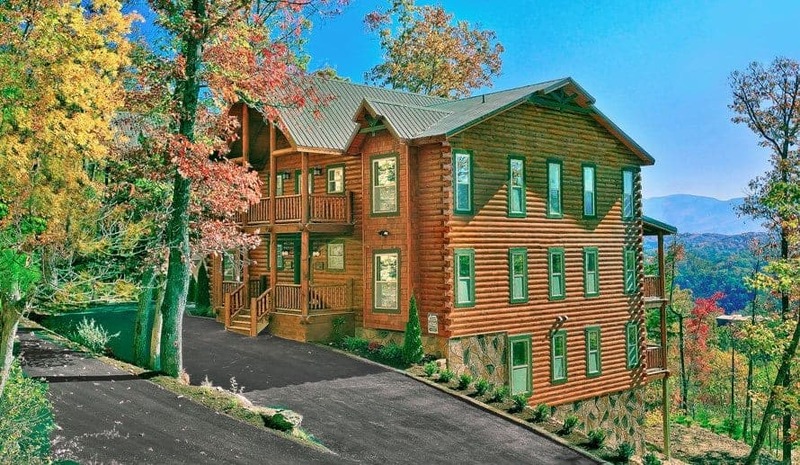 Click here to look at all of our large cabins in Pigeon Forge! See you in the Smokies soon!